On 3-versus-3 teams, children play baseball, Cuba’s most popular sport, on the streets of Cienfuegos. When a player hits the ball over a house and into its courtyard, it is considered a homerun. Many youngsters emulate their heroes in America’s Major League Baseball and practice daily with the hopes of one day joining them. At the mouth of a glacier within Alaska's Inside Passage, travelers in Zodiac boats navigate water around icebergs and witness calving. Aboard the National Geographic Sea Lion, a solo passenger looks towards the horizon while cruising through Alaska's Inside Passage. A nomadic Mongolian family milks their yaks. On the open steppe outside of Kharkhorin, Mongolia, a few mongol horses graze as a fierce hail storm approaches. Street performers sometimes line the path leading to Jaisalmer Fort's entrance. As tourists pass by, locals encourage them to watch their family's special talents. One girl has the ability to traverse a tightrope in a rather unique fashion - on her knees (with the assistance of a metal plate) while pushing herself along only with her toes and balancing a vase of water on her head. 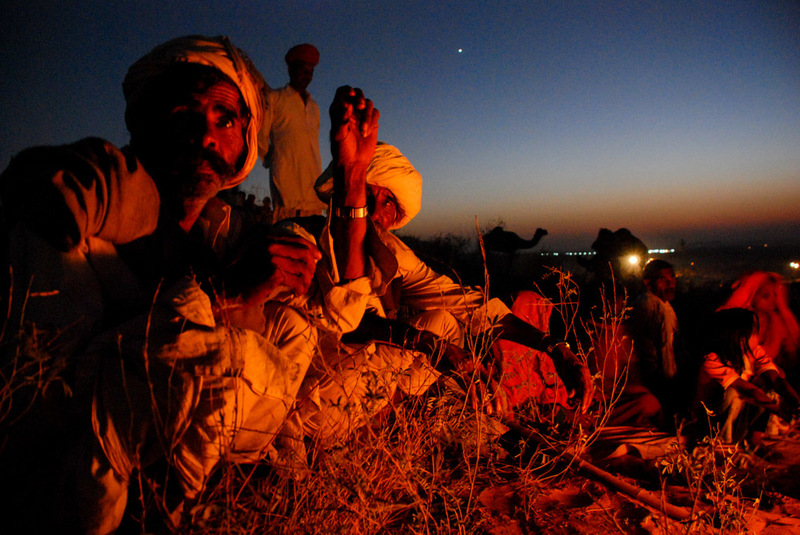 At sunset, several men lead a camel caravan through the sands at Pushkar's Camel Fair. At The Pushkar Camel Fair in India, a family gathers around a campfire at dusk to stay warm and prepare a meal. An explorer dangles from a rope while repelling into a moulin found within Iceland's Skaftafell Glacier. A small speedboat navigates the Seine River in Paris, France. 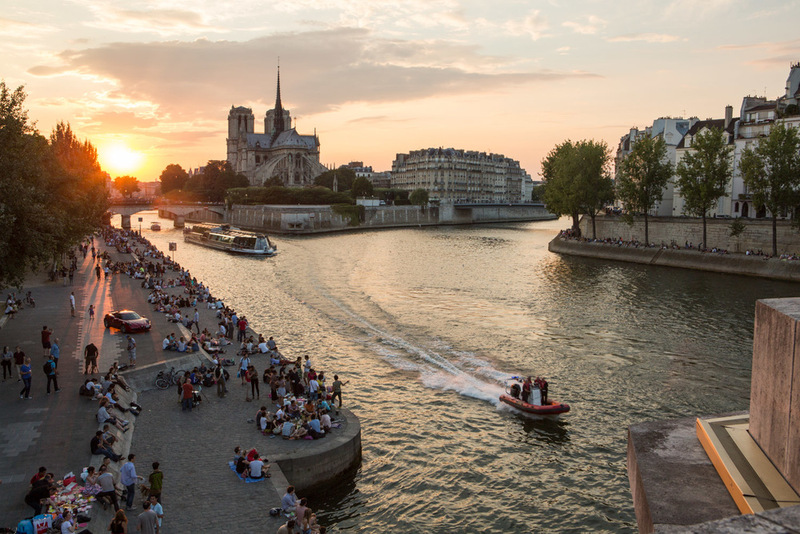 Parisians and tourists line the riverbanks as the sun sets behind the Notre Dame Cathedral. In Cienfuegos, Cuba, a woman and man stand in the doorway of their home. The classic American car has become a symbol and staple throughout Cuba. In the back streets of Havana, one who has yet to learn of the country’s history, shows her innocence at play. An iguana park is located in Guayaquil's city center across from the main cathedral. People gather to feed and play with the iguanas. Locals and lovers pass the time at a bus stop in the heart of Havana. Along the wall of Floridita – one bar made famous by Ernest Hemingway – this man displays his tattoo of Che Guevara, a prominent figure of the Cuban Revolution and a symbol of counterculture. 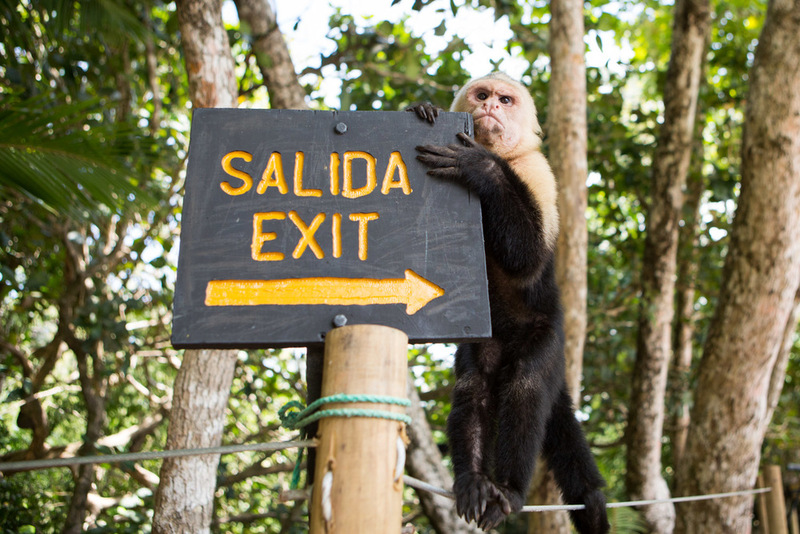 A white-faced capuchin monkey climbs on an exit sign in Costa Rica's Manuel Antonio National Park. In addition to covering editorial issues, I have the privilege of teaching photography in collaboration with National Geographic Expeditions, National Geographic Student Expeditions and Lindblad Expeditions. Having traveled to Cuba, Alaska, British Columbia, Costa Rica, India, Scotland, Vietnam, Cambodia, Bhutan, Newfoundland, Mongolia, Iceland, France, Panama, Yellowstone National Park, Yosemite National Park, The Czech Republic and The Galapagos Islands with those organizations, here is a collection of some moments during those journeys.